Biogas or Gobar gas plants are still up and running in rural Uttar Pradesh and Bihar. At a time, the tank used in these plants is filled with 30 kilos of cow dung and enough water to keep the cow dung moist at all times. 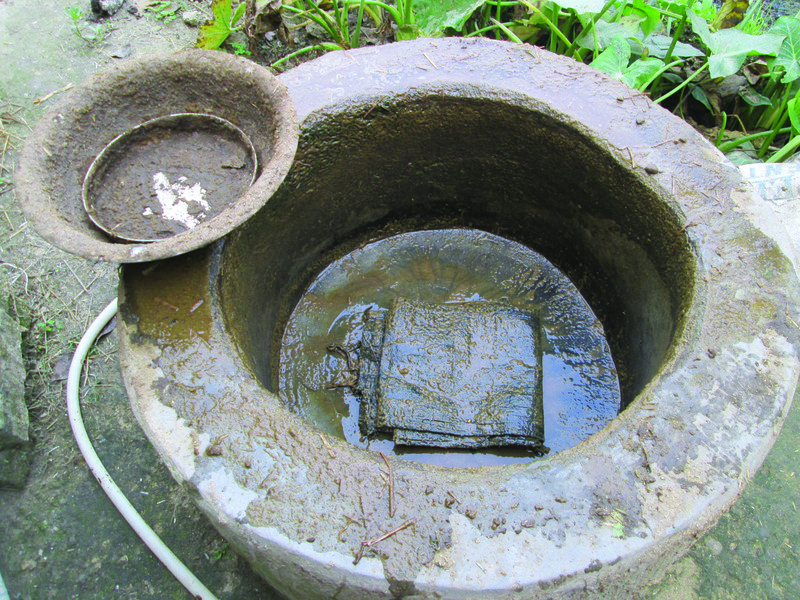 This quantity of cow dung can produce enough biogas to cook for 10 people and produces electricity to light one bulb. After being utilized for biogas, the cow dung is let out via an outlet into the fields, where it serves as manure for the crops. Banaras District, Uttar Pradesh. 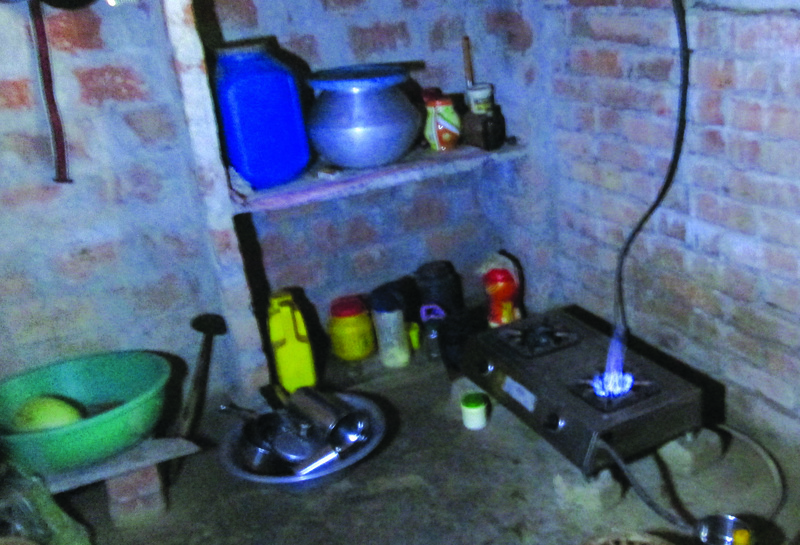 In both Cholapur and Kashi Vidyapeeth blocks of the district, many homes are equipped with biogas plants but they are receiving no help from the government to operate and maintain these plants. 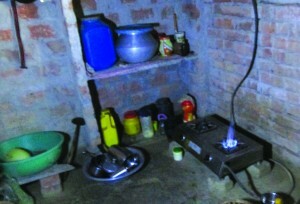 Prabharani, a resident of Paranapatti village of Cholapur block acquired a biogas plant in March 2013. She had to incur an expenditure of 15 to 16 thousand rupees. Even though she has cows and buffaloes at home, she received no subsidies from the government. Jayshankar and Jayram of the same village, got biogas plants in February 2012 and have still not received any government subsidy. Madhup Kishor and Moolraaj Kishor, both residents of Bhatti village in Kashi Vidyapeeth block were also allotted biogas plants almost 3 months ago but are yet to receive the subsidies. Block Development Officer (B.D.O.) of Kashi Vidyapeeth Gajendra Kumar Tiwari said that under the Biogas Power Programme, the person allotted a biogas plant is given a subsidy of 8 thousand rupees to help them run the plant. Every block in every district must ensure that 5 biogas plants are installed annually. People from the community register a written request with the block administration which then forwards it to the district level. Thereafter, a budget is worked and sent back to the block. Banda District, Uttar Pradesh. Many households in Banda’s Baberu block were using biogas but this has decreased in the last few years. One exception is Prabhakar Nagar’s Ram Avtaar who has been biogas for the last 25 years. He says that his family has only enough cattle to produce cow dung sufficient to generate biogas to heat milk, water and cook food. The family doesn’t use it for electricity. But biogas has been a profitable replacement for cooking fuel as LPG cylinders cost 550 rupees for a cylinder and with biogas they get a lot of cooking done for no cost. Sitamarhi District, Bihar. There were many households with biogas plants in more than one block of the district but now one rarely finds any. 20 years ago, Ramvilas Mahto got a biogas plant but now it’s defunct. Ramvilas pointed out that earlier people used to have a number of cattle that produced sufficient cow dung to run these plants. Nowadays, people rarely have so many cows and buffaloes, as a result of which biogas plants are hardly being used.